But Mom! All the other attorneys have iPads! Howdy. I suddenly feel like Dr. Bunsen Honeydew…. OK. There’s every likelihood this won’t be as entertaining unless I can get one of our reporters to dress up like Beaker and mumble as I drone on. If you go back and read my last effort you’ll see that I have become an abuser of things “i”. And why not? They’re just too cool. Maybe you’re one of those I’ve bored with a demonstration of some of the apps I think are cool, such as all the stuff I’ve found related to flying! Perhaps you’ve caught me sharpening my gambling skills during long breaks playing craps! Of course, there are those that have seen firsthand how I’ve reduced my paper use by creating forms that I use on my iPad during depositions. Now I’m taking requests for app reviews. There are a plethora of programs written for the legal community. A simple search of the Apple App Store using the term “legal” shows 482 apps for iPad and 1066 for iPhone. I would be surprised to learn that the same couldn’t be said for the other popular anti-iThing smart platforms out there. All due respect to the rest of them, I have iThings so that’s what I’m going to write about. For $0.99 there’s an app called Legal Heat – 50 State Guide to Firearm Law. For a buck ninety-nine there’s My Legal Projects. 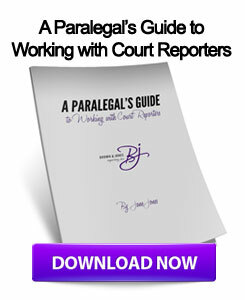 It claims to be “Ideal for the new or summer associate who must remember the unique requirements for each legal research project they work on”. For free you can get the ABA’s ABA Journal for iPhone/iPad. Who wouldn’t want the entire United States Code loaded onto their smart phone or tablet? There’s an app for that – and it’s FREE! As is LexisNexis Legal News and Legal Maps, a curious little app designed to direct you to the best medical marijuana dispensaries. Ah! The things we can do! The mind boggling number of entries is overwhelming and MANY non-billable hours can be wasted weeding (HA! I crack me up!) through the flotsam only to discover that most of them are junk or have absolutely nothing to do with the exciting field of law. Fortunately for you, we here at the B&J Lab for the Technologically Stunted are hard at work! Having been provided with a list of apps previously suggested by someone to somebod we’ll start with some rated as Best Multi-Platform Apps. Keep in mind – I’m not a lawyer, I just put their witnesses on TV. Tap into the world’s most advanced legal research system on-the-go. Access familiar WestlawNext features including, WestSearch, KeyCite, Folders, History, document notes and highlighting…. A WestlawNext account is required. Getting said account is not an option provided by the app. I don’t have one so I cant tell you anymore than this. Too bad. Sounds interesting. Fastcase offers a free iThing app, asking only for you to register, you know; who are you, where are you, what do you do, who do you do it for, blah blah blah. There are two offerings under this name. Court Days Pro – Rules Based Calendaring for Lawyers, for $2.99 and Court Days – Date Calculator for Lawyers, $0.99. Here’s a tool for doing calendar math. Reported to be user customizable by court rules and statutes, triggering events and so on. A number of user complaints include database availability such as, “This is great if you practice in California” and problems with older platforms. Sadly, the operating budget for the B&J Lab for the Technologically Stunted precludes us from evaluating these claims independently. Shoeboxed is a receipt tracker. Scan your receipts from your PC, from your smart thing, or send them in using the prepaid mailer. Shoboxed scans and uses OCR software (Optical Charachter Recognition) to create expense reports and databases. They then maintain them online for you. The app is free. You’ll pay for the service. This one app may make the purchase of an iPad the easiest decision you and your firm has ever made. An iPad weighs what? A pound and a half? The newer ones even less. What’s the combined weight of three medical depositions, two expert witness depositions, plaintiff and defendant depositions, Volumes I AND II? Oh! I almost forgot! How much does 800 pages of certified medical records weigh? What about all of those other backbreaking exhibits? Oh, the aching back of your poor paralegal! This paperless tool puts multiple transcripts right in the palm of your hand. Read hands-free, create color-coded designations based on user generated issue codes, flag or e-mail critical sections, generate reports to e-mail or print. Carry all your transcripts in one app and Search across an entire case, a single witness or one deposition Reference exhibits as you read the transcript Color code issues Flag sections for review Print or email detailed or summary reports. The file types required are already easily available from your favorite court reporter at Brown & Jones Reporting! OK. Its not my job to sell you an iThing. I mentioned earlier that there are many choices of tablet computers out there. Gads! We live in such wonderful times! It is my job, I guess, to wade thru the mire as best I can to bring the news of the technology today. Barring widespread requests to the contrary, I’ll keep at it. As I said about a thousand words ago, I take requests. Coming soon: Trial Presentation apps and iJuror! This entry was posted on Monday, July 2nd, 2012 at 8:23 am	and is filed under All Posts, Court Reporting. You can follow any responses to this entry through the RSS 2.0 feed. You can skip to the end and leave a response. Pinging is currently not allowed. Very informative info, John. This is excellent!!! I have used the Transcript Pad on my IPad and it will really come in handy for attorneys or paralegals. Wow, thanks for all the great app ideas, John! I will be sure to forward this blog along to my attorney friends and family.